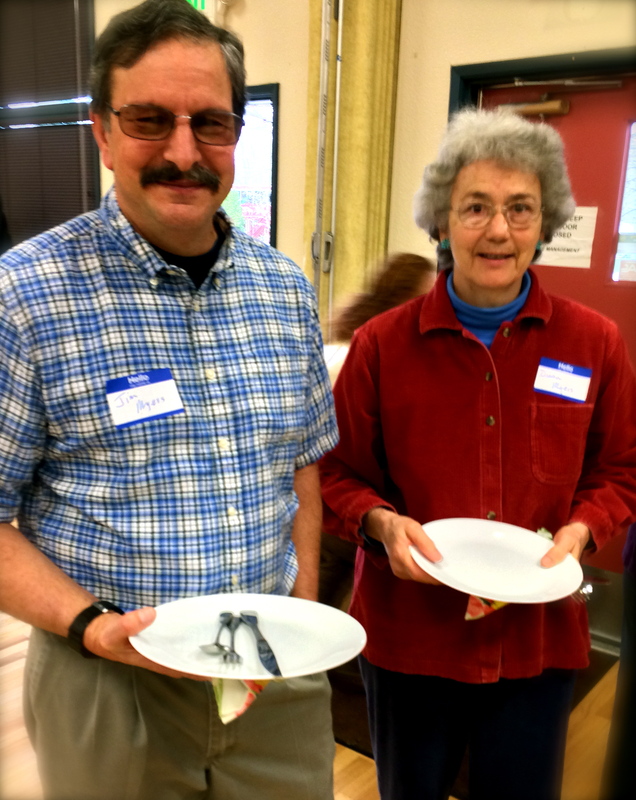 23 people gathered at the Chintimini Senior Center in Corvallis on Sunday, March 9th, to enjoy a delicious potluck, hear a brief summary of last year’s accomplishments, and discuss plans for the coming year. “Food Day”: SFC cosponsored this national event with the First Alternative Coop and other community food groups. Terra Madre Day: the event that wasn’t, due to a snowstorm. Food prepared for this event was donated to Stone Soup. Purchase of a Cow for Girls’ Home in Uzhgorod, Ukraine. Participants heard a presentation by Ray William, a representative of the Corvallis-Gondar (Ethiopia) Sister Cities Program about the splendid progress made by Yenege Tesfa, a group of children’s homes led by the dynamic Nigisti Gebreselassie, on developing the home gardens for which Slow Food Corvallis donated $1100 in May of 2013. By October, they had completed one garden and made good progress on a second, and were planning a third–all with the funds we donated to support just one garden! Deanna Lloyd discussed the SAGE garden and the fundraiser to which SFC contributed. Corvallis Environmental Center’s “Edible Corvallis” initiative has benefited from significant support from Slow Food Corvallis since it began in 2008. Jim Meyer, a plant breeder at Oregon State University who has assisted in several past Slow Food events. spoke about a new initiative called the “Culinary Breeding Network”. Plant breeders are working with chefs in different parts of the country to include aspects of flavor and taste in breeding. Chefs provide input on which varieties work best in their dishes. Jim participated in a conference last year in Tarrytown, New York, at the Stone Barn Center. He proposes to work with Slow Food Corvallis on an event in 2014, highlighting attributes of several varieties of vegetables including peppers, squashes, and winter vegetables. Terra Madre Day: this is already set up for December 7th. A visit and tour of Stahlbush Island Farm. A slate of new officers was elected during the annual gathering. 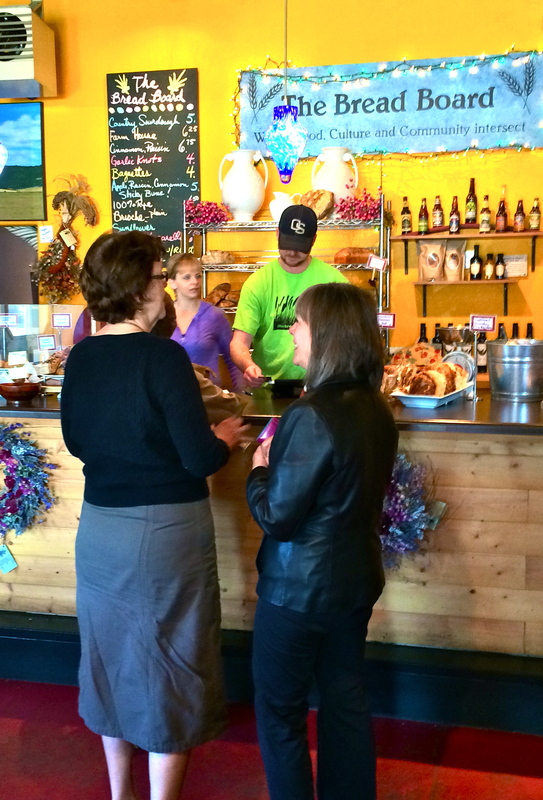 Linda Ziedrich, Lol Cooper, and Rosemary Magee were unanimously elected to the Board of Directors of Slow Food Corvallis. During Board meetings preceding and following the annual meeting, the Slow Food Corvallis Board of Directors have moved forward on planning of several events: the Fairview Goat Dairy tour in June, the Rogue Hopyard visit in August, the showing of the film “Resistance” in October, a fundraising event in October, and Terra Madre Day in December. Below are some pictures taken during field trips to plan the Fairview goat dairy and Bread Board tour, and the Rogue Hopyard visit. Be sure to join us for these fun events! No visit to the Fairview Farm and Dairy could be complete without a stop in the Goat Museum! Rogue staff will explain how the hops are loaded, moved around, roasted, and finished for use in their brewing processes. A visit to the Rogue Hopyard in Independence, Oregon, to learn how this local brewery has developed and processes its hops into a delicious array of beers is planned for late August. Marilyn and Rosemary checking out the Bread Board’s offerings, for a snack after the goat dairy visit. 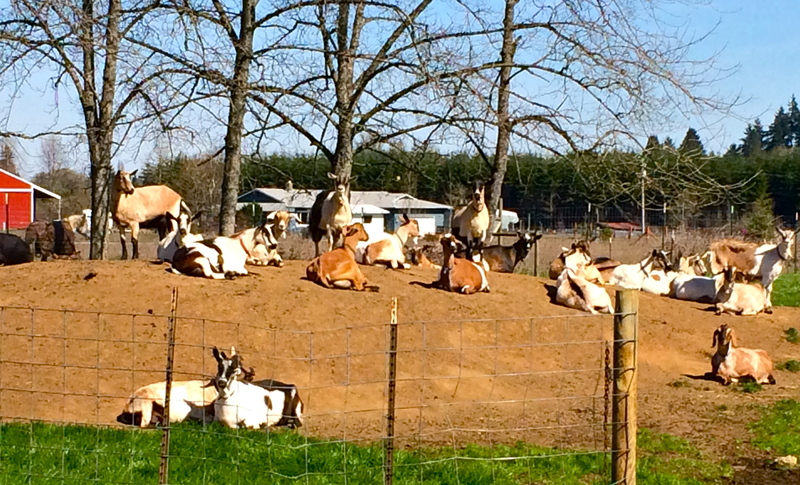 Fairview Goats enjoying a sunny spring day on “goat mountain”.